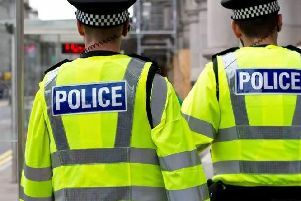 A burglar who had broken into a Warwick house escaped after an accomplice shouted to him to stab the householder who had returned home and confronted him. But even though the owner did not see the get-away car, his experience in the automotive industry helped him to identify it as having a Vauxhall 1.6 diesel engine. And burglar Michael McDonagh was arrested after the car was traced and his fingerprints were found inside. 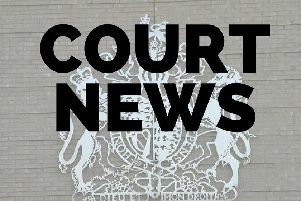 McDonagh (19) of Signet Square, Coventry, pleaded guilty at Warwick Crown Court to burgling the house in Faulconbridge Way, Warwick, and a later offence of possessing an offensive weapon. He was given a 12-month community order, with a rehabilitation activity for 25 days, after the judge heard he had served the equivalent of a six-month prison sentence on remand. Prosecutor William Dudley said that at 3am on January 13 last year a man returned to his home in Faulconbridge Way, where his pregnant wife was asleep in bed upstairs. On hearing that, the householder understandably let him go, and McDonagh escaped with an Armani watch and a handbag which contained about £140 in cash and gift cards. Although he did not see the car in which McDonagh and his accomplice made their get-away, the householder had worked in the automotive industry for many years – and recognised the sound of the engine as a Vauxhall 1.6 diesel. Later such a car was found near to McDonagh’s home, with his fingerprints inside, and following his arrest he was picked out during an identity procedure as the intruder. Mr Dudley pointed out that the day after the burglary, the man’s wife had suffered a miscarriage – which he believed had been brought on by the distress over the incident. Then on Christmas Eve, while he was on bail, McDonagh went into the post office in Willenhall Precinct in Coventry, where he exchanged words with another young man in the shop. McDonagh left, ran to his car and drove off before doing a u-turn and returning to the shop with a hammer, but the young man inside managed to hold the door shut to stop him getting in. So McDonagh drove off again, but was then caught on CCTV making another u-turn at the same spot and driving back. By then, the other young man, believing the coast was clear, had left the shop, and McDonagh jumped out of his car with the hammer and confronted him, although no blow was landed. Julian Lynch, defending, said McDonagh, who suffers from schizophrenia, was still a very young man, and he had found his first taste of custody, while on remand, very difficult. Of the burglary, Mr Lynch said: “He’s a young, relatively vulnerable man. He was with some older males. He was out with them in their car, and he was pushed into it by them. Sentencing McDonagh, Judge Sylvia de Bertodano told him: “You are here principally for the burglary matter in January last year when you went to a house in the early hours of the morning. “The lady who lived in the house was asleep at the time, and her husband was not at home, and he came back to find you stealing his belongings and tried to detain you. “You shouted for help, and there was clearly someone outside because there was a shout back telling you to stab him. He let you go, and you made good your escape. “He ascribes [his wife] having a miscarriage to this. You were not to know about that, but if you break into someone’s house and steal their things, that is the risk you take. “The appropriate sentence for the burglary, even given your youth and relatively good character, would have been 27 months, and for the offensive weapon three month consecutive.